Garments are made using a soft and snuggly hand dyed cotton blended with bamboo. You'll be so cosy you'll wish winter would never end! 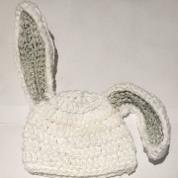 Items shown can be ordered in preemybug (premature), newbug (newborn), babybug (3 to 9 months), toddybug (1 to 2 years), kiddybug (3 to 5 years) or buglet (6 to 8 years or small adult). All items are machine washable on a cool cycle, but should be reshaped while damp and dried flat. All designs are available in different colors on request - just ask! This beanie has natural stretch for a snug, comfortable fit for growing heads. Baby sizes (preemie bug to babybug) R250, kid sizes (kiddy bug and buglet) R295. 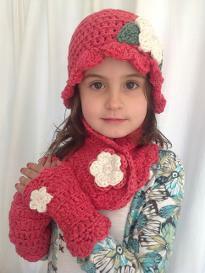 Available in raspberry and ballet pink, in toddybug and kiddybug R750. This popular design keeps your neck and chest warm without strangling you, and without loose ends to bother you. Also available in ballet pink. Toddybug and kiddybug R250, buglet R295. These favourites keep your pulse points and the blood supply to your hands warm, while leaving fingers free. Toddybug and kiddybug R175, buglet R195 per pair. These adorable beanies are perfect for little adventurers. 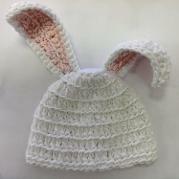 Let their imagination run wild with these delightful creations.Baby sizes R295, kid sizes R350. These caps and hats are good for sunny days with a little chill in the air. They are made from 100% cotton with bamboo detailing.